Have you started creating your Christmas cards yet? 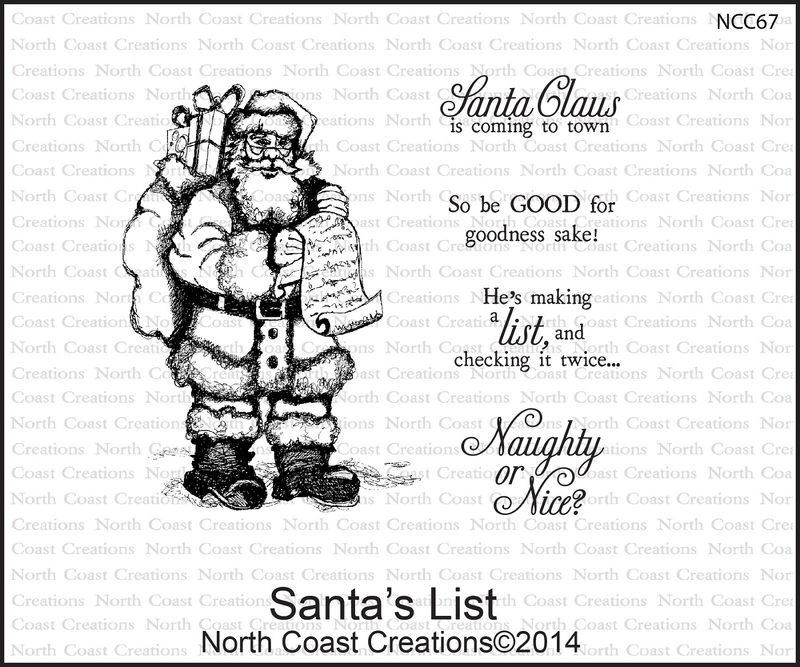 I only have a handful done, but I'm sure that this Santa from North Coast Creations Santa's List will be making a few more appearances here on my blog! To create my card I stamped the Santa image in Black Archival Ink on White card stock, the die cut the image using the ODBD Sparkling Stars Dies, trimming around the top of the image to remove the extra card stock. Once the image was colored, I adhered it to a Gold die cut star, then laid it inside the larger star die that was die cut from Vanilla card stock. The beautiful pattern paper is from Our Daily Bread Designs Christmas Paper Collection 2014. The Vanilla panel under the Pattern Paper/Gold panel was die cut and embossed using the Border from the ODBD Custom Flourished Star Pattern Die. To embellish my card I used the Pennants Die to die cut the "fish tail", die cutting from Gold card stock and from a scrap of the pattern paper. To further embellish I added Gold die cut panels using the Doily Dies, Beautiful Border Dies and the smallest star from the Sparkling Stars Dies along with Zva Creative Crystal Gems. Santa looks great on that star. Great colors. Very pretty, Lisa! Love the added color to the edges and the fishtail banner looks terrific.